The artisan gelato makers have been honoured with not one, but three prestigious awards in the space of seven days. Up against stiff competition, they were crowned Best Local Food & Drink Producer at the Leicestershire Promotions 2018 Tourism & Hospitality Awards. 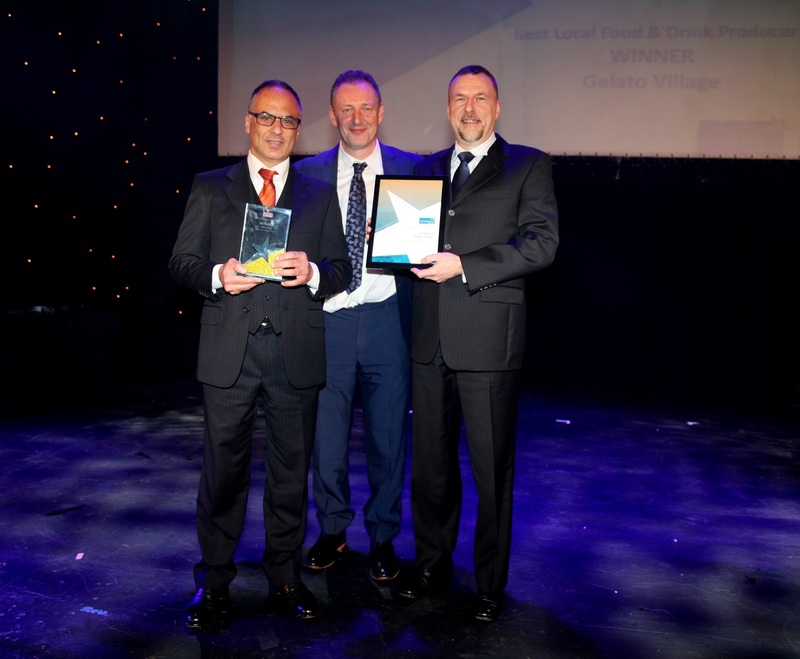 At the glittering ceremony at Leicester's Athena, the Gelato Village team's commitment to using locally sourced, seasonal ingredients to carefully craft the finest quality authentic Italian gelato was recognised by a panel of esteemed judges. This was quickly followed up with further honours - a win in the Lux Life Magazine Food & Drink Awards. These awards celebrate the finest establishments offering the most sumptuous food all around the globe. And finally, at the closing ceremony of the MIG Longarone International Gelato Festival, Gelato Village received another gong. This time, it was the quality of their website and social media offer that was given second place in the Best Gelato on the Web competition. They fought off competitors from 59 countries to reach the podium in this huge international celebration of their industry. The judges were particularly impressed with the quality and quantity of information on the Gelato Village website, which ranks on Google as one of the top gelato resources in the world. "It is overwhelming to receive this degree of international attention in just one week. Our small business has celebrated four years of trading in 2018 and we continually strive to make the very best gelato for our customers to enjoy. It isn't always easy as footfall in Leicester city centre is unpredictable! However, it is fantastic to receive independent confirmation on regional, national and international levels that our gelato really is something special. We'd like to thank everyone who has supported Gelato Village in 2018 for helping us to remain committed to high quality gelato that is Good, Clean and Fair."